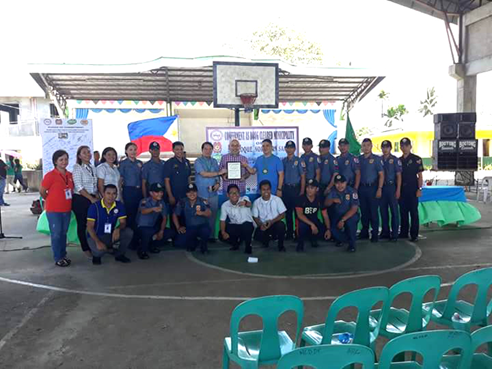 The Municipality of San Roque was awarded as the FIRST Drug-Free Municipality in Northern Samar last March 7, 2018. San Roque has 16 barangays, which worked together under the leadership of Atty. Mayor Don L. Abalon in order to achieve the drug-free status from the PDEA. 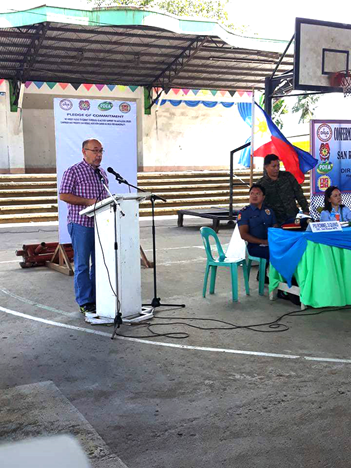 Ceremonies for the conferment of the Drug-Free certification was held at the San Roque Municipal Multipurpose Center, with guest speakers Northern Samar Governor Jun Ong and Cong. Edwin Ongchuan lauding this landmark accomplishment by the local officials of the municipality. Dr. Mary Ann Abalon was also on hand to discuss the bad effects of illegal drugs on physical and mental health. San Roque Mayor Don L. Abalon congratulates the barangay officials for their achievement of a Drug-Free Municipality status with the PDEA. The local government officials proudly pose with San Roque Mayor Don L. Abalon and their PDEA certification of Drug-Cleared status. The certification for a Drug-Free Municipality is signed by Governor Jose L. Ong Jr., Provincial Director of DOH Northern Samar, Rommel C. Francisco, Provincial Director of NSPPO, PSSUPT Felix A. Diloy, Provincial Director of DILG Valente P. Bajet, and by the Regional Director of PDEA, Regional Office 8, Director Edgar T. Jubay, MDM, who was also on hand to award the certificate to Mayor Abalon and San Roque Barangay officials.